string(1073) "Resource Centre > Uncategorized > Workers’ Well Being Haiti Survey Report"
The Workers’ Well-being Survey focuses on five major areas of interest: access to safe and healthy environment; health and well-being; economic empowerment; equality and acceptance; and education and professional development. Workers’ aspirations were also included in the survey.The study was conducted in five countries: Haiti, Egypt, Pakistan, Bangladesh and Cambodia. 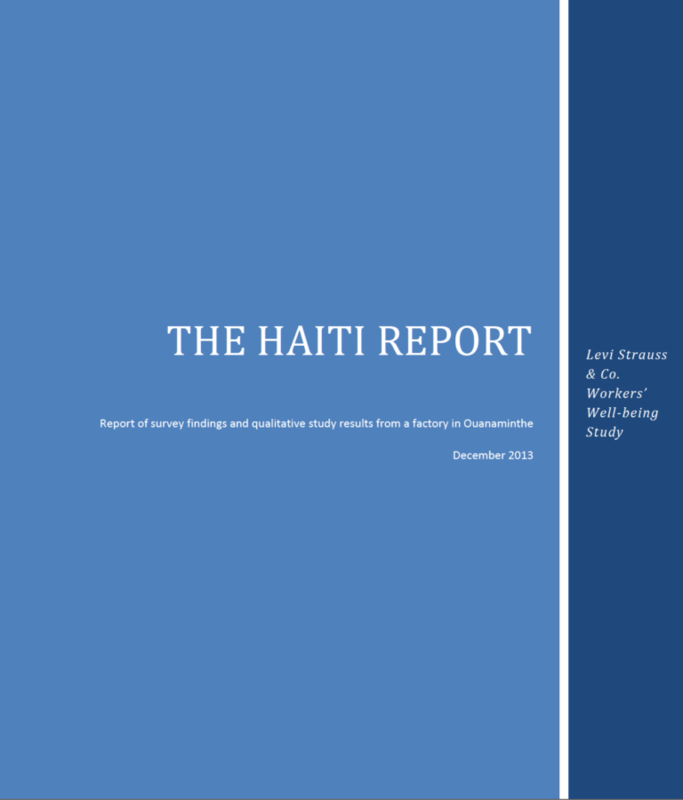 This report refers to the findings of the survey conducted in a factory in a factory in Ouanaminthe, a small town in Haiti at the border of the Dominican Republic.